In Mark 3, it is recorded that when Jesus’ family heard how he was attracting a great following, they thought he was “out of his mind”. These days a similar charge is sometimes made – that Jesus exhibited behaviour that suggests he suffered from a mental disorder. I’ve come across it several times, most recently in a discussion on an internet forum. 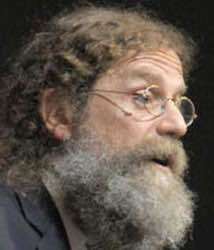 In this case, the work of Robert Sapolsky was cited as evidence of Jesus’ supposed schizophrenia. How does this work? What is the evidence and what credence does it have? Robert Sapolsky is a neuroscientist at Stanford University, and a series of 39 of his lectures can be found on YouTube. Near the end of the lecture series is Biological Underpinnings of Religiosity, 1 hour and 23 minutes long. The lecture was a fascinating look at some aspects of abnormal human psychology and religious belief, and covered the following. Some genetic diseases (for example, cystic fibrosis and sickle cell anaemia) are life threatening and therefore maladaptive – i.e. you’d expect natural selection to reduce their occurrence. However scientists have discovered that, if present in a mild form, these diseases confer some immunity or resistance to other diseases – for example, cholera (cystic fibrosis) and malaria (sickle cell anaemia).Thus the presence of these genetic conditions is harmful to some individuals, but may benefit the larger population, and so natural selection doesn’t weed them out. Similarly, several mental or brain disorders (e.g. schizophrenia and OCD) are debilitating and/or maladaptive, and people suffering from them find it difficult to function successfully in society. But there are genetic conditions that are mild forms of these psychoses but are not themselves psychoses, and they actually have some advantages, especially if expressed in the right way at the right time. Schizotypal disorder is like a mild form of schizophrenia. Two of its symptoms are that the person is solitary or socially detached, and exhibits meta-magical thinking – that is they have an interest in things that are strange, such as science fiction or aliens. If a schizotypal person is religious, they are likely to be conservative or fundamentalist. Schizophrenia is a psychosis, and a schizophrenic person is likely to feel marginalised in a community. But schizotypalism is a spectrum which we may all be on, and is not abnormal. Charles Manson was diagnosed schizophrenic, while many religious innovators, Sapolsky says, may be strongly schizotypal. In ancient cultures, these religious innovators might have been seen as a witchdoctor, shaman or prophet, and their meta-magical thinking helped their communities explain mysteries and endure tragedies. Most people have some rituals in their life, even as simple as the order in which we do common tasks, or double checking that we have locked the house or car before we leave them. These somewhat obsessive rituals may be strengthened, and very helpful, when we feel anxious. But if we become so obsessive in our behaviour that the rituals consume us, we may have Obsessive Compulsive Disorder (OCD). Religious belief is one of the strongest assistances to good physical and mental health. For example, it reduces depression and increases life expectancy. Sapolsky describes religion as “nature’s antidepressant”. The lecture also covered superstition, epilepsy and damage to the hippocampus and temporal lobe regions of the brain. Humans tend to try to find patterns and causes in events, and use this knowledge to try to control their lives. Religious shamans help communities find apparent supernatural causes and to control them through rituals that please their gods and helps them explain the unknown and cope with difficulties. Thus these behaviours tend to increase wellbeing, and so they persist and grow. Sapolsky was raised a strict Jew but is now an atheist. As an atheist, he naturally believes that many religious beliefs are “irrational, and that christian beliefs in the virgin birth and resurrection are “diagnosable problems”. Nevertheless, he specifically says that none of this suggests religious belief is “psychiatrically suspect” or “crazy”. In fact he says he regrets losing his faith, but doesn’t feel he can do anything about it. Sapolsky has been misrepresented. For example, this selective excerpt from Sapolsky’s lecture is misleadingly titled Religion is a Mental Illness, and has been edited in a way that gives a different impression to what Sapolsky actually says over the whole lecture. He doesn’t say that Jesus was schizophrenic. Schizophrenics are unlikely to have a positive impact on the community around them (they are more likely to crash and burn like Charles Manson, David Koresh or Jim Jones), so successful religious innovators are unlikely to be schizophrenic. A diagnosis of schizophrenia cannot be made this far removed anyway. He only makes one offhand and oblique reference to Jesus, but we can infer that he believes Jesus was schizotypal – meaning he had meta-magical thinking (presumably by believing he was sent by God, could perform miracles, etc, though this isn’t actually stated). This is not a psychosis, but a description of certain behaviour patterns. Jesus is not like the semi-OCD religious leaders that Sapolsky speaks of, for he doesn’t exhibit any of the four major symptoms and tends to be opposed to the rituals of his day. A positive message about Jesus? Of all the behaviours he describes, the only one that really fits Jesus is meta-magical thinking. Jesus believed he was sent by God, was establishing God’s kingdom on earth, could forgive sins and perform miracles and was willing to die confident that God would vindicate him. These are presumably meta-magical beliefs and behaviours. But of course we could describe these beliefs and behaviours as meta-magical if they are true just as much as if they are falsely based. This description of says nothing about their truth or falsity. So Sapolsky’s description of Jesus is simply saying he was a high functioning and successful religious innovator who offered something important, valuable and meta-magical to those who followed him. It is an open question whether he spoke the truth or not. A positive message for christians? Far from being a threat to christian belief, Sapolsky’s views in this lecture offer christians both information and encouragement. We can be better informed about our own and other people’s behaviour. We can better understand what is naturally helpful to people, and what is unhelpful and even pathological. But what’s more, we see here an interesting argument for the uniqueness of Jesus and an extra answer to the question “Why believe in Jesus over other religious figures?” I believe that Sapolsky’s conclusions point to another reason to believe Jesus was unique. But Jesus generally spoke out against these things. He argued that purity of heart was more important than ritual washings and rules about food. He took no interest in numerology. He didn’t perform elaborate rituals to seek to heal people, as did other religious teachers and healers of his day, but generally healed with a simple word. He left us with virtually no rituals – the one exception I can think of is for his disciples to remember him during the Passover meal, a teaching that has become more ritualised by the church. Rather, he gave us simple guidance on how to please God and love our neighbour, via forgiveness, service to the poor and love of enemies. It reinforces my suspicion (and bias!) that ritualised religion tends to be the most human-made and furthest removed from the simplicity of Jesus’ teachings and example. And it gives one more reason to believe that Jesus was not just another example of a human being who invented some useful rituals, but was genuinely from God. 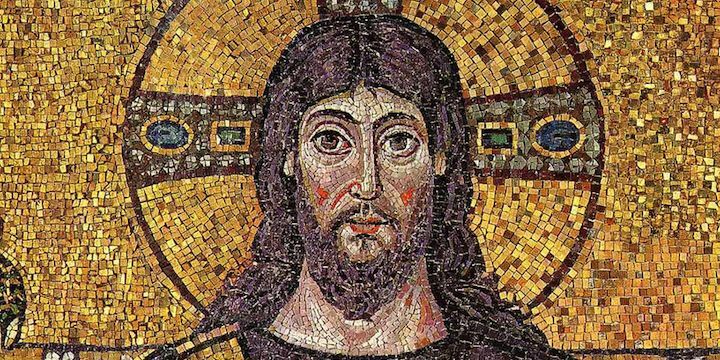 Photos: Mosaic of Jesus in Basilica in Ravenna, Italy. freeparking 😐 via Compfight cc. Robert Sapolsky from his Stanford University profile. « Religion is like seeing faces in nature?